NDB is elated and thankful to have been nominated for the Liebster Awards 2017 few days back. This blog has received so much love and support from friends, family, readers and the online blogging community and I really want to appreciate everyone of you for coming this far with me. And like I would say to those whose feedback have been very encouraging and uplifting, let's do more! There are levels to attain and there are heights to climb, there is so much more to do and yes there is enough space on the top for us all, the buttom is too crowded. I want to also thank and sincerely appreciate Beth Megan, a Travel/Lifestyle Blogger and Jessica Philippe, a Lifestyle Blogger for the nomination, I would be answering both of their questions here. The Liebstar Awards is an online award given to new bloggers by bloggers for engaging readers and creating valuable content. 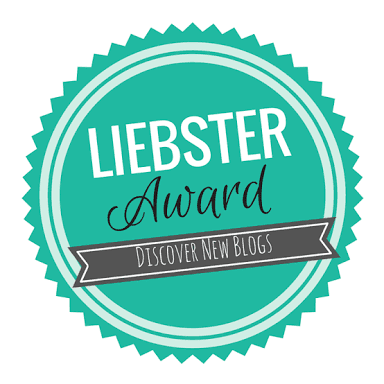 The major aim was to help discover new blogs, give them recognition, help them gain exposure for future awards and welcome them to the blog community. 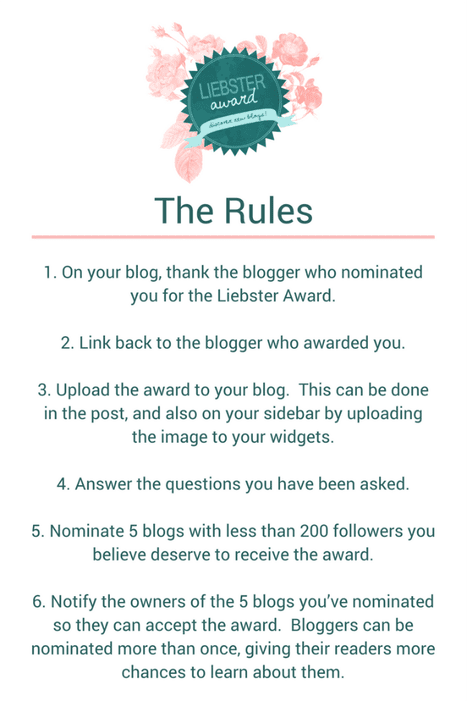 Once nominated, you are expected to nominate other upcoming blogs and have them answer different set of questions. Is there one specific person that made you who you are today? There is no one specific person but God made me who I am today and my beloved parents made it possible. I started this blog back then in college during my undergraduate days but took it more seriously last year. Writing has always been my hobby since childhood and I got into blogging to become a better writer, it was a kind of strategy for me back then to learn and discover new ways of doing things. My advice would be to find your niche, have a vision for your blog, know the purpose and reason for you blogging, discover everything about blogging because there are hidden things. Blog about what you love the most because writing about what you enjoy makes it super easy and no matter the challenges, you can always overcome and keep going. I had lots of challenges and setbacks when I started blogging but the major ones had to be combining blogging with school work because I was still in college back then, I didn't want my academics to suffer, so I wasn't consistent. Then I had no blogger friends and it was frustrating doing it all alone, I didn't have a digital camera also. But with time, I learned from other professional bloggers and got better, I networked with several bloggers online, I read other blogs and left comments, I learned to use what I got, I believed in myself, I stopped focusing on getting friends to like what I do and focused on my work and crafts. I realized after these things - people and opportunities came around! Where do you see yourself in 1, 5 and 10 years? In the next 1 year, I see myself learning and discovering new things, I see myself becoming the best version of myself, I see myself doing what I have always wanted to do. In the next 5 years, I see myself established financially, I see myself spiritually grounded and burning for Jesus, I see myself inspiring young ones unto their gifts and passions, I see myself married to the most amazing man, I see myself doing exploits, fulfilling purpose and commanding uncommon results. In the next 10 years, I see myself already doing great things and fulfilling destiny, I see my dreams turned realities, I see the plans God has for me manifesting fully, I see myself rich and financially buoyant, I see my works and sacrifices yielding profitably for me, I see myself doing more and inspiring others to do the same and even more. What is your most proud moment in life thus far? I really don't have a proud moment yet because there is still so much for me to do and this is just the beginning. Hopefully, one day I can look back and be proud of how far I have come. If you are famous, would you enjoy the limelight or miss your privacy? I would definitely miss my privacy if I were famous but I believe I can still keep my private life private, I decide what others should see and not see about me. Lol! I really don't know but I love Zoe and Zion a lot! Give to the blog post that you enjoyed writing the most! If you had a week left to live, what are some things you would do? What's the most important factor of every blog post? That would be to create quality content, excellent images/designs that will suite the blog post. • Become all that I was created for and do all that I was created to do! • Study for MSc. in the UK! I have answered that above in a related question. Thank you again for the nomination! 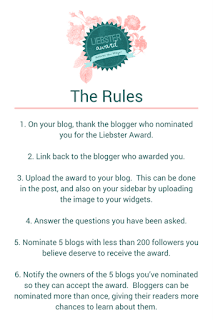 And a big congratulations to those I have nominated, please answer the following questions below on your blog linking back to this post and nominating 5 other blogs to complete your nomination. You should receive a mail from me shortly! 2. What major challenges have you faced so far in blogging and how did you overcome them? 3. What key things have helped your blogging process? 4. What's your greatest achievement/proud moment thus far? 5. Tag other bloggers who have in one way or the other inspired you! 6. What's your favorite quote? 7. Advice for new bloggers? For questions or further instructions, please email: info@naomidestiny.com. P:S - There is an upcoming GIVE AWAY on the 31st of August, details will be posted on the blog soon. NDB will be partnering with one or two brands to reward some of our true hearted and devoted readers. It's my little way of saying thank you for the support thus far! 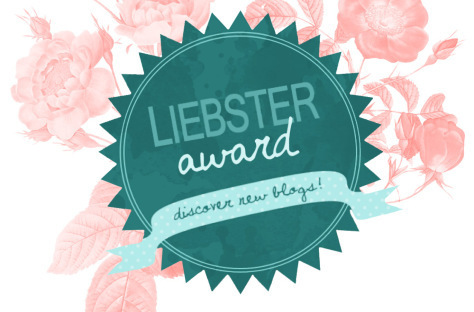 I recently got nominated for the Liebster Award as well! Congratulations! Thank you Sarah! Congratulations on your nomination!